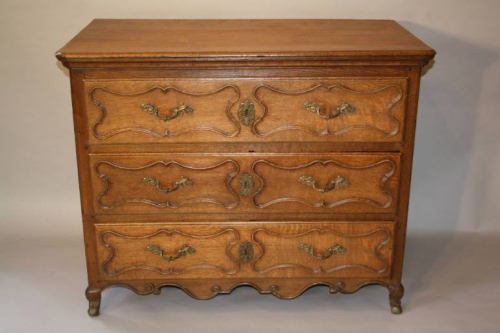 C18th French carved solid Oak chest of drawers with later handles. c1740. Lovely carved detail including hoof feet.